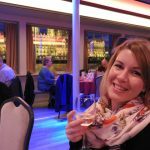 Find the way to your loved one’s heart on a Valentine’s Day Wine Cruise on river Danube in Budapest. 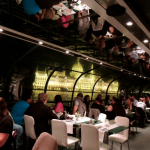 We have several ideas for the best Valentine’s Day in Budapest ever: dinner, entertainment, romantic live music, city lights, delicious Hungarian wines and more, all on the Danube. 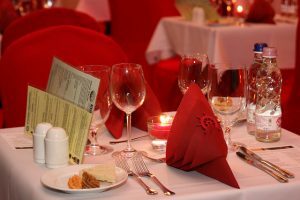 We are here to create a magical romantic Valentine’s evening, ideal if you are thinking of popping the question or you just would like to have a nice quiet evening for the two of you. Book your cruise now via our online booking form. Budapest is romantic all year round with its magnificent and beautiful sights and incredible views. And, luckily, February is no exception (even if the days are cold in Europe in the last month of the winter). 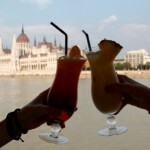 Budapest offers various romantic programs for a short 3 day or longer holiday. 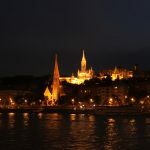 The picturesque Castle District with the Buda Castle, the Matthias Church, the Fisherman’s Bastion, historic cafes with wonderful cakes, lovely concerts, great wines, romantic hotels make Budapest an ideal destination for couples. The outdoor steaming pools of Szechenyi Baths and its relaxing massage therapies offer a unique way to let off steam on Valentine’s Day too.